Jennifer Lawrence and Darren Aronofsky Are Perfectly Polite to Each OtherThey had a perfectly acceptable interaction and everything’s fine. Amy Schumer Had Some Harsh Words for Jennifer Lawrence After Her BreakupThat’s one interesting condolence note. Amy Schumer Had Some Harsh Words for Jennifer Lawrence After Her BreakupAfter Lawrence’s split from Darren Aronofsky, Schumer sent her flowers and a condolence note. Boyfriend Ideas for Suki WaterhouseIt doesn’t have to be Darren Aronofsky. 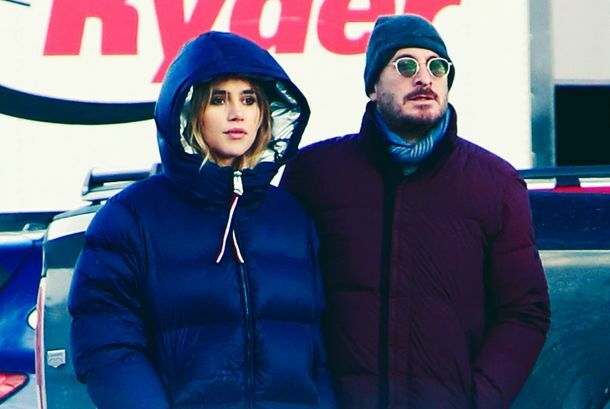 Darren Aronofsky Seen With Suki Waterhouse and a ScarfThe Mother! director wandered around Park City with the actress. Mother!, Fifty Shades Darker Among 2018 Razzie NominationsCongrats? Darren Aronofsky’s Favorite TV Shows Will Not Surprise YouI’ll give you a hint: One of them involves Szechuan sauce. Jennifer Lawrence’s Dog Doesn’t Look Happy About Seeing Darren Aronofsky AgainThis dog has seen some stuff. Exclusive: Watch How They Shot the Wild Final Act of Mother!It’s a fascinating behind-the-scenes glimpse into the movie’s more surreal portion. It Sounds Like Darren Aronofsky Kind of Stressed Jennifer Lawrence OutHe wouldn’t stop obsessing about bad reviews of his movie. 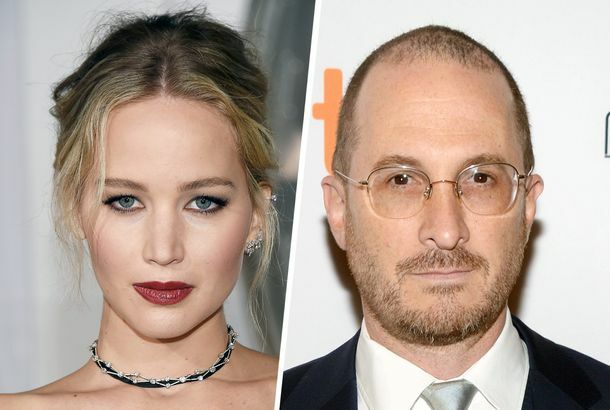 Jennifer Lawrence and Darren Aronofsky Are No MoreHe’ll have more time with his scarves. Jennifer Lawrence and Darren Aronofsky Have SplitHe’ll have more time with his scarves. Darren Aronofsky ‘Loves a Broadway Musical’Somebody please make mother! : the musical! Why Mother! Landed on CinemaScore’s List of ‘Fs’It seems to have one thing in common with the other 18 F-rated films. Brace Yourself and Your Sink For the Mother! OperaLet’s consider the possibilities! Darren Aronofsky Says Mother! Is a Good Date MovieHe’s giving Carrie Bradshaw–level bad advice. Jennifer Lawrence Acts Like Jennifer Lawrence at Mother! ScreeningThis is how she responds to Mother! critics. Will I Hate Mother!? A Serious QuizIs Mother! a good movie, or is watching it like actually dying? Darren Aronofsky Knew You’d Hate Mother! and ‘Wanted to Make a Punk Movie’He just needed to get this off (out of?) his chest. All of Our Theories on What Mother! Is Actually AboutMother! is really about the environment; Mother! is really about The Sims. Michelle Pfeiffer Is the MVP of Mother!Anytime she’s onscreen, the film becomes electric. Darren Aronofsky Movies, RankedIn honor of Mother!, we ranked every Darren Aronofsky movie, from The Wrestler to Requiem for a Dream. 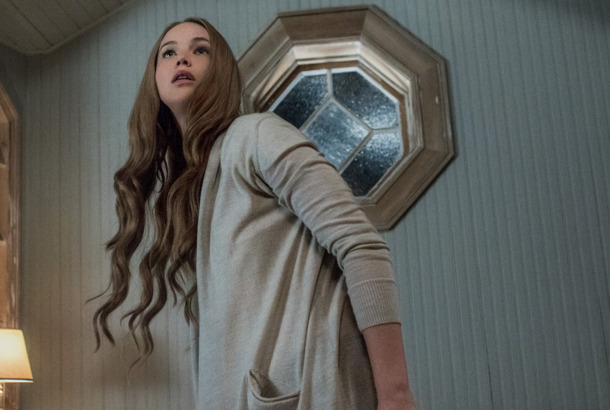 Darren Aronofsky Talks the Metaphors of Mother!The auteur talks Mother!’s metaphors, torturing Jennifer Lawrence, and the movie’s grisly ending. Mother! Has the Worst Possible Rating on CinemaScoreLess than ideal, admittedly. Let’s Talk About That Scene in Mother!You know the one. Mother! Is a Second-Rate, Self-Aggrandizing Tour De ForceDarren Aronofsky’s latest puts Jennifer Lawrence through the mill for no purpose except nurturing a strain of masochism. Jennifer Lawrence Gets Terrorized by Michelle Pfeiffer in This Mother! ClipDon’t press her about having kids. Darren Aronofsky Would ‘Love’ to Marry Jennifer LawrenceAccording to E! News. Mother! Trailer: J.Law Welcomes You to What Is Definitely Not a B&BDarren Aronofsky’s film premieres September 15. What in Tarnation Is Going on With Jennifer Lawrence in the mother! Poster?Mmmm human hearts. Jennifer Lawrence FaceTimes Students for VotesPulling out all the stops. Darren Aronofsky Loves Scarves, Maybe J. Law TooThey (the people, not the scarves) kissed! Jennifer Lawrence Proudly Makes Out With Darren AronofskyThe new couple has gone public. 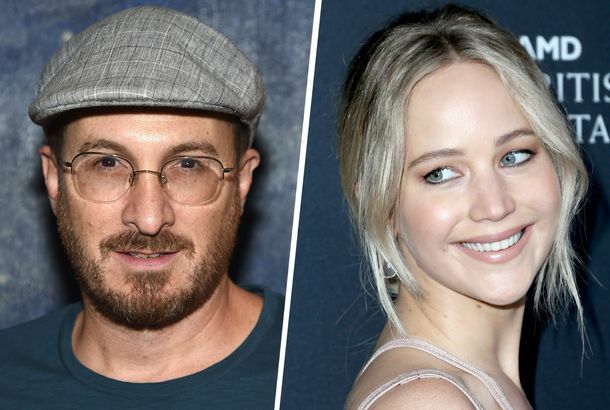 Jennifer Lawrence Is Reportedly Dating … Darren Aronofsky?That, or they’re just working on a film together. Domhnall Gleeson Joins J. Law, Aronofsky ProjectAnd Ed Harris! Theo James on Eyebrows and ManscapingThe Divergent actor is the new face of Hugo Boss. ISIS Is Using Darren Aronofsky’s Noah for Recruitment“I mean, that’s definitely not the message of the film,” says the director. Let’s Talk About Noah’s Crazy Giant Rock Monsters They’re called the Watchers, and you haven’t seen them in any of the trailers or ads. Darren Aronofsky Put His Seventh-Grade Teacher in NoahShe encouraged him to write a poem about Noah. Here’s a Look at Darren Aronofsky’s Noah ActorsBible-y! Meet Douglas Booth, Cinema’s ‘Offensively Attractive’ New RomeoDouglas Booth on “snogging” Emma Watson, Hailee Steinfeld, and the Lord of Winterfell. Darren Aronofsky’s Disaster Epic NoahHe’s overseen the construction of an ark large enough to hold two of every species, plus a human cast that includes Russell Crowe, Jennifer Connelly, and Emma Watson.